This map shows territory of Russia. actual map of Zun-Khasurta free download. detailed map of Ulus Narin-Gorkhon 1 cm to 1 km download for free. free map of Ulus Khutul и OziExplorer calibration for you. free map of Ulus Balyk with gps calibration presented. topographic map of Ulus Baga-Nur 1 cm to 1 km free download. 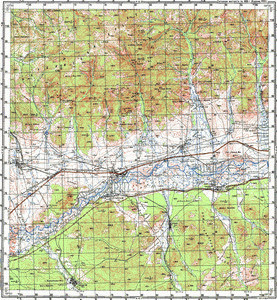 topographic map of Tarbagatayskiy Stanok и OziExplorer calibration for gps. topographic map of Tarbagatay calibrated displayed. topographic map of Sannomysk with gps calibration displayed. interesting map of Naryn with gps calibration displayed. actual map of Khandagay и OziExplorer calibration this. free map of Imeni Stalina calibrated here. actual map of Imeni Kirova this. topographic map of Bayan-Gol presented. detailed map of Barun-Khasurta 1 cm to 1 km free download. detailed map of Udinsk free download.